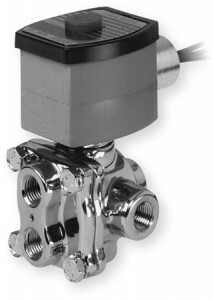 3V and 4V Solenoid Valves feature rugged, epoxy-encapsulated coils that are resistant to water, dust and corrosion. This epoxy molded solenoid provides extra levels of safety and protection at no extra cost. In addition, solenoids are designed for long-term operation at minimal coil wattage. Lower-wattage coils consume less power, saving money and increasing efficiency.